Highlands Ranch, CO, October 14, 2016	(Newswire.com) - ​​Elements Massage® (Elements), a national franchise that specializes in providing highly customized personal massage services, is now offering Himalayan Salt Stone Massage Therapy, which can enhance every massage with additional healing benefits. The massage franchise is rolling out this new offering across the nation, and anticipates that many of its 220-plus studios will be on board by the end of the year. "We're very excited to be able to offer a new massage modality to our clients," says Stacy Nordby, Learning and Performance manager at Elements Therapeutic Massage, LLC, the franchisor for Elements. 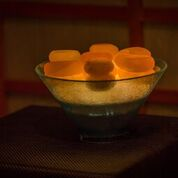 "Massage therapists love the Himalayan salt stones because they are natural, very hydrating and inspire positive energy. We expect that clients are really going to enjoy how the stones feel and the healing capabilities they can experience during their massage treatment." Elements is partnering with Saltability, a Missouri company that provides Himalayan salt products to resort, day, medical and destination spas, to offer this service. Much like a hot stone massage, which is also offered at Elements studios, a Himalayan Salt Stone Massage is a full body massage that uses a specific sequence of massage to balance Tsing points, meridians and source points to relax the body, mind and spirit. By stimulating these points, the stones can be very soothing, providing a state of total well-being emotionally and physically. Saltability also offers a salt stone warmer with LED technology that requires no chemicals and emits negative ions that may help reduce oxidative stress in the environment where they are used. "The warmer and salt stones work beautifully together," says Ann Brown, the founder of Saltability. "It's safe, eco-friendly, very therapeutic and mineral rich." Saltability's stones are said to be 100 percent pure, pink Himalayan salt with 84 naturally-occurring minerals and elements, and are antimicrobial and antibacterial. Like aromatherapy and hot stone therapy, the Himalayan Salt Stone treatment will be offered as an upgrade to Elements' 60-minute or longer massage sessions. "We believe clients are ready for something new that offers so many potential therapeutic benefits," adds Nordby. "Himalayan Salt Stone Massage is one of the top spa trends for 2016, and we are thrilled to have it in our studios, where so many people will be able to experience its deeply relaxing and restorative health advantages at an affordable price." ABOUT ELEMENTS MASSAGE® and WELLBIZ BRANDS, INC. Elements Therapeutic Massage, LLC is managed by WellBiz Brands, Inc., one of the largest health and wellness franchise organizations in the United States, and headquartered in Highlands Ranch, Colo. The company also manages Fitness Together Franchise, LLC which franchises one-on-one and small group personal physical fitness training studios called Fitness Together®, and Fit 36, LLC, which franchises the FIT36® high intensity interval training concept featuring group workouts. 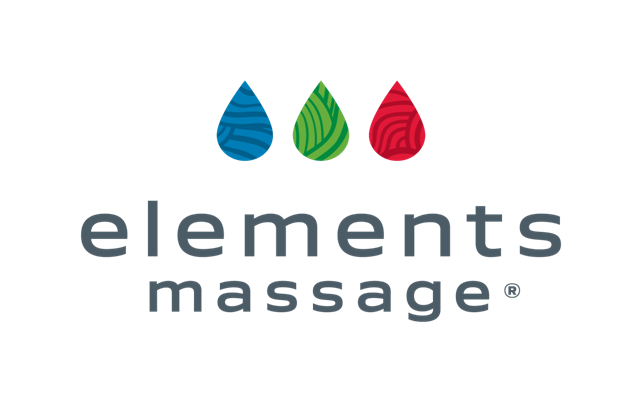 Elements Therapeutic Massage, LLC began franchising in 2006 and has nearly 230 Elements Massage® locations in 36 states. For more information about Elements Massage® or The Elements Promise™, visit ElementsMassage.com.